Our built in ice maker in the refrigerator broke and it is no longer in warranty so we got this one. It makes 9 ice cubes every 7minutes. We are a family of four and use quite a bit of ice. We make ice at night and put it in the freezer for the next day. Arrived in just a few days plugged it in got cold quickly holds temp well. I bought this cellar as a gift for a friend for Xmas. They have never had a wine cellar. They rave that it is quiet, used small amount of power, looks great and keeps their wine at the set temperature. For the money you cannot beat this product. It is all I had hoped for. Beautiful look, plenty of room and freezes everything very fast. I was on the lookout for one of these and couldn't pass it by at the price . Great fridge freezer with lots of space. "Very pleased with delivery and pick up of old freezer, the new freezer is so well made and solid with great draws and heavy door with good solid handle, first class service "
" very much as described.very pleased so far.delivery people were excellent "
We purchased the Koldfront Wine Cooler and we are very hapy with the cooler. This cooler is what we have been looking for. Very good product. "Arrived fuss free and fits perfectly inside light nice n bright loads of shelf space. Can't go wrong with Hotpoint. " "Perfect size fridge for our requirements in our office kitchen. 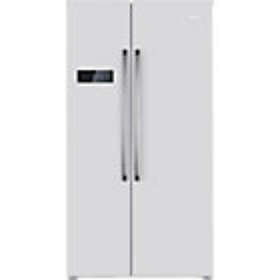 Delivered promptly"
"Looked in high street stores but didn't see this Haier fridge freezer on show so had to buy blind online as we needed it in a hurry. Read reviews before ordering and so far, we are please with it." "Very spacious. Easy to operate. Very quiet! " "This has a large capacity. It runs super quite. Very pleased. " "Great fridge, works well, looks sleek and can easily hold lots of food shopping! AO delivery was fantastic, in and out within 10 minutes (including installation)! " I bought this item two weeks ago and so far very happy with the performance. Fits nicely in my kitchen and looks good! "Replaced our 15 year old model. Very quiet and much more internal space. Fully functioning with ice and water within 12 hours." "The freezer looks great and has loads of space. Just the job." "Great internal space and very well laid out fridge with a good capacity ice box." "This freezer is tidy looking, has a useful light. It freezes down quite quickly. It is very quiet too. Does what you expect from a freezer, I am a happy customer." "Good quality Plenty room inside Quiet Very happy with purchase "